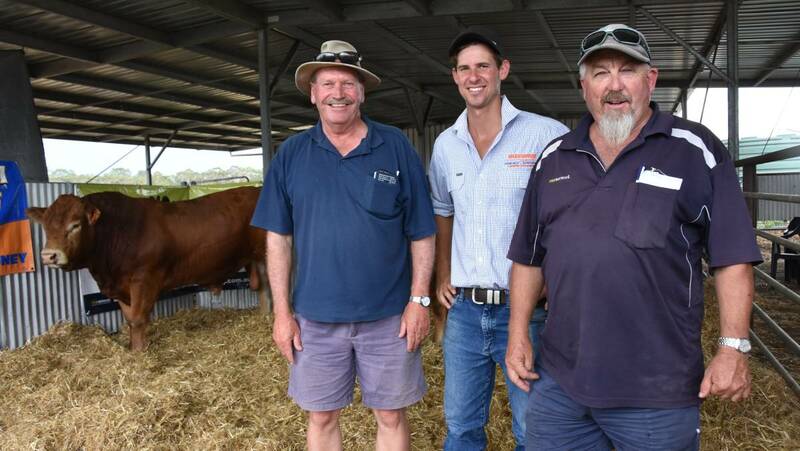 Buyer of the $10,500 top priced bull at Warrawindi's sale, Peter Coote, Mocorco, Kalangadoo, with Mason Galpin and TDC Penola's Steven Hill. 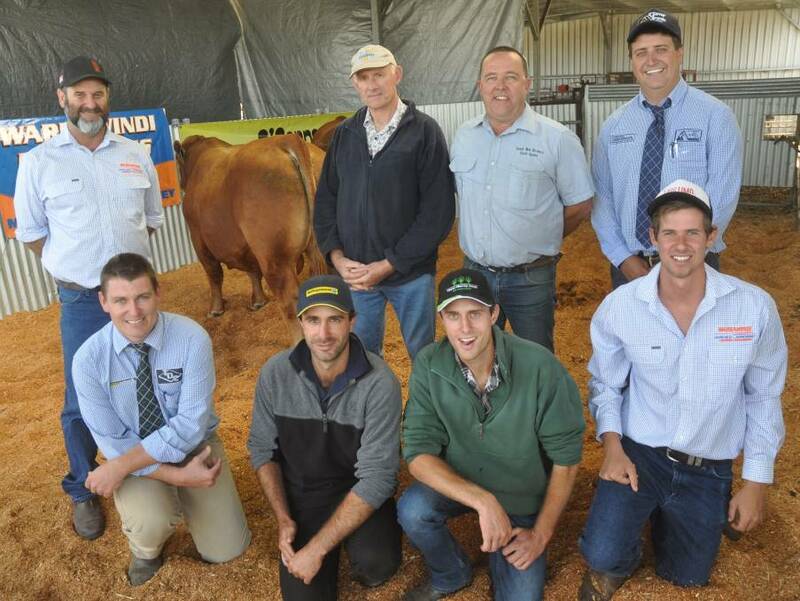 The $10,500 sale-topper with David Galpin, buyer Ian Mibus and sons Nathan and Aiden (front centre), South West Farmers' Michael Goldby, auctioneers Ethan Bronca and Matt Treglowan and Mason Galpin. 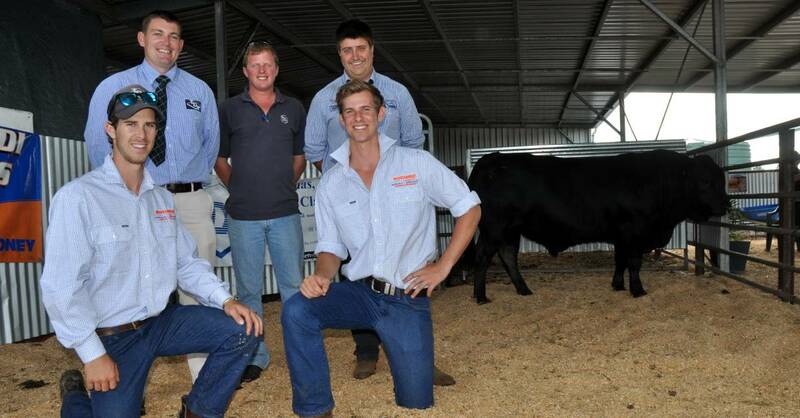 Jordan and Mason Galpin (front) and the $9000 bull bought by Garth Manser (centre), P & L Livestock, with auctioneers Matt Treglown, TDC, and Ethan Bronca, O&G.